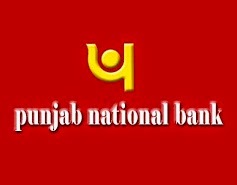 Punjab National Bank (PNB) New Delhi invites applications for appointment of Chief Customer Service Officer (CCSO) on Contract Basis. The last date for submission of applications is 20th May 2016. (1) The eligible person should be retired officer in the rank of Chief General Manager or General Manager of a scheduled commercial bank other than Punjab National Bank. (2) The eligible person should have exposure in working of more than three areas of operations in banking such as General Banking, Credit, Foreign Exchange Operations, Treasury, Government Business, Merchant Banking, Credit Card Operations etc. (3) The appointment of Chief Customer Service Officer will be purely contractual in nature for a period of three years, extendable as per suitability criteria. Selection Process: The selection will be made on the basis of Personal Interaction / Interview. Application Fee: ₹ 1000/- payable by way of Draft drawn on any Nationalized/ Scheduled Bank drawn in favor of "Punjab National Bank- Recruitment of CCSO" and payable at New Delhi. How to Apply: Eligible candidates may submit applications in the prescribed format. Last date to apply is 18/05/2016 and duly completed application should reach to "The General Manager- HRMD, Punjab National Bank HO: HRMD 7, Bhikhaiji Cama Place NEW DELHI-110066" latest by 20/05/2016. Hard copy of the application be sent by registered/speed post in a sealed envelope super scribing: "Application for the post of Chief Customer Service Officer (CCSO)".